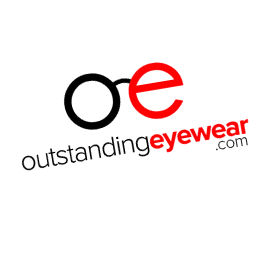 With over 30 years of experience the eyewear industry, www.outstandingeyewear.com has been created to showcase our individual niche websites in 1 location. Each site specializes in a specific category of merchandise to make the shopping experience easy and enjoyable for our consumers. We are dedicated to providing an extensive selection of brands, styles and price points, and discount all of our offerings way below retail price. Our in house laboratory has the latest state of the art machinery allowing us to add prescription lenses to just about any frame we sell. We also custom make items that cannot be found in stores, such as Designer reading glasses, prescription Clic magnetic glasses, Rx safety goggles, and Polarized performance Bi-Focal sunglass readers. Our new Outlet superstore will be opening soon and is connected to our distribution center. Here you will find a selection that cannot be matched anywhere on earth. All of the products from all of our websites in stock for immediate delivery. Literally hundreds of thousands of reading glasses in powers from +0.50 to+7.00, as well as prescription glasses made while you wait.